The Ashanti regional Minister, Simon Osei Mensah has asked petty traders in Kumasi complaining about the hardship in the country to start selling cocaine if they can’t withstand it. According to the minister, traders in the Kumasi metropolis are using the hardship in the country as an excuse to break the laws and trade at unauthorised places. He added that traders refusing to move from unauthorised places in the metropolis will be forcefully ejected. Mr. Osei Mensah said he won’t allow the indiscipline of traders to hamper the development of Ashanti region. Speaking at an event to re-launch the Keep Kumasi Clean and Green project, the Minister said “the indiscipline is too much. I want to use this opportunity to caution traders who are defying orders to vacate from the pavements around the Suame roundabout. We have previously told them to relocate in a peaceful manner, but if they refuse to relocate, we will eject them forcefully. The Minister’s comments come after Kumasi Metropolitan Assembly (KMA) recently asked all traders selling on pavements and unauthorized places to relocate to designated markets. But some of the traders have defied the orders and are back on the pavements to trade. 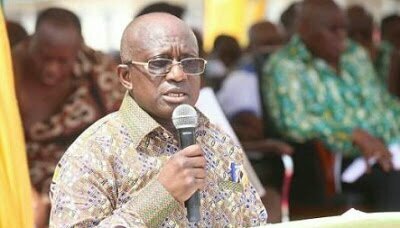 0 Response to "Sell Cocaine If There Is Hardship In Ghana, Minister Tells Traders"